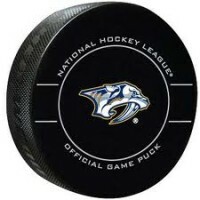 The playoff atmosphere in Smashville began tonight in anticipation of the first round of the Stanley Cup Playoffs, where Nashville will host the Colorado Avalanche, who defeated the St. Louis Blues, 5-2. The playoff schedule will be released on Sunday. 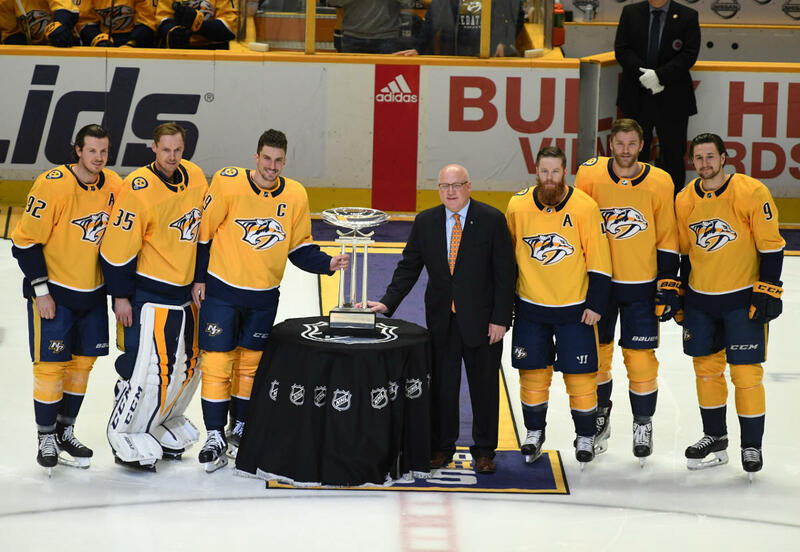 The night began with the Predators receiving the Presidents Trophy from NHl Deputy Commissioner Bill Daly, as Nashville finished the season as the league’s top team, finishing with the most points in the NHL. It was a three goal first period that put the Predators on the road to the victory. Austin Watson broke the ice with the first goal of the game, then Filip Forsberg scored two of his three on the night. Columbus would score one in the second, then another in the third, but the empty netter by Forsberg at the end, sealed the win. The season was the most successful in the history of the franchise. Nashville finished with 53 wins. Head coach Peter Laviolette said in his post game conference that the team had set goals for the season and was proud at what his guys had done. He was especially proud at the accomplishment of GM David Poile, who became the winningest GM in the history of the league. Laviolette also said that keeping his team fresh and rested towards the end of the regular season was important. It limited the amount of practice time his team could take, so as to not be exhausted when the playoffs begB. Vezina Trophy front runner, Pekka Rinne played the first two periods of tonight’s game, while Juuse Saros finished the third period and closed out the game. The two goalies have been spectacular this season and give the Predators a lot of confidence heading into the playoffs. Captain Roman Josi told the Bridgestone Arena crowd that without the fans of Smashville, the team would be missing a key component in their success. The fans, or 7th man as their known, were given the !st star of the game tonight.